Lameness in race horses is a common occurrence. When it happens it can mean a brief interruption to the horse’s career or it can mean the end of competitive racing. For the fan of EZ Horse Betting it can mean the difference between making a winning bet and making a losing one. Before you begin betting at an online racebook you need to learn how to spot lameness in horses that are competing. Here are a few tried and true ways to do that. One of the most reliable methods for determining lameness in a horse is to turn to the trusty past performances that you use to handicap races. Past performances are sometimes provided for free by your online racebook. You can also obtain them from the Daily Racing Form or from Equibase. A past performance chart is filled with information about a horse’s most recent efforts. Among the other data that is included is a workout tab that shows recent morning exercises. By looking at the workout information you can easily determine the routine that a trainer uses to train their horses. Most horses will follow a predictable pattern of timed workouts. They may post a work once a week, every ten days, or every two weeks. Whenever you spot an interruption in the workout pattern there is always cause for concern. An interruption can indicate that the horse has suffered a physical problem that is preventing it from working out. The Horse trainer may be taking it easy because he or she knows that the horse is lame. Unfortunately, interruptions in the pattern are not always related to lameness. A trainer may simply be trying to disguise the horse’s true form in the effort to make a winning wager. Trainers also work out horses under other another horse’s name sometimes. If you spot an irregularity in the workout pattern of a horse, your best course of action is to note this and try to verify lameness with one of the other methods that we are going to mention. Do not rely solely on the workout pattern of the horse to determine whether or not the horse has an injury. Another good source of information in the past performances is a notation which reveals any equipment changes that the horse might be sporting in today’s race. One of the changes that may be present is the addition of front or back bandages. If a horse has not raced with bandages before, this can be a sign of lameness. Trainers often add bandages to support a horse’s legs when it has gone lame. At other times bandages are added when a horse is hitting itself while racing. This means that the front legs are clipping the back ones or vice versa. When a horse hits itself during a race an injury can occur. Sometimes a trainer adds bandages because they are grasping at straws and want to find something that will make the horse run better. One thing is for certain. The addition of bandages to a race horse is never a positive sign. This is a factor that could cause you to withhold a bet until you have been able to observe how the horse performs with the new equipment. At EZ Horse Betting we recommend skepticism whenever a horse makes an equipment change. Wait and see before you decide to back the horse with a bet at your favorite online racebook. Another thing that can hint at lameness is a decline in recent performances. If a horse has been steadily finishing in a worse position, something has to be the cause of this failure. In many cases a horse is being pushed through lameness by a trainer that has no idea of what to do. In other cases the horse can simply be fatigued and in need of rest. You will want to look for horses that have been racing at the same level. For example, a horse that has been racing consistently at the $10,000 claiming level should demonstrate some consistency in how they compete. If they have been finishing in the top three and suddenly start falling down the ladder, a problem is present. You keep betting on the horse thinking it will return to form and things only get worse. Today it finishes fourth, next time it can only manage sixth, and so on. Many horse bettors make the mistake of riding a losing horse too long. They keep betting thinking that things will turn around. If a horse has show a decline in two successive races, it is time to back off. You want to see that horse improve before you are willing to make a bet. Another thing that is a very important part of the handicapping process for many bettors is visual inspection before a race. This is more easily done is you are present at the live race track, but it can also be done at an online racebook. The simulcast feed will usually show horses in the paddock as they are being saddled and prepared to race. The feed will also show what is known as the post parade where horses are taken out to the track. What you want to look for here is a horse that is short striding. This means that the back legs are not extending as far as they should. When a horse moves the idea movement is for the rear hooves to land in the spot that was just vacated by the front hooves. If the back hooves are falling short of that mark, soreness could be the reason. A horse that is sore will not be able to run to its full potential. It will also be more susceptible to injury. Determining whether or not a horse is lame takes practice. The time you spend learning is worth the rewards that you will receive when you avoid betting on lame horses. Are you ready to try your hand at betting horses online for real money? Check out our recommended online racebooks and sign up today. 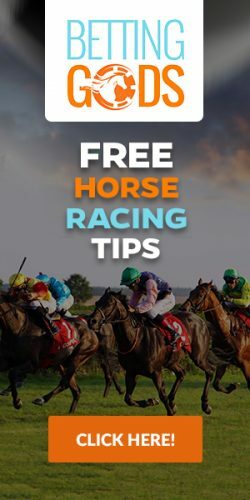 You can get free past performances and even a nice horse betting welcome bonus when you make your first deposit.